We do it sometimes without thinking. Maybe it is instinct. Maybe we don’t realize we are doing it. But as veterinarians our actions and responses can create a domino effect for fellow veterinarians and ourselves. What exact action am I talking about? Well that is the action of inadvertently misinforming clients. Again, I don’t think many of us intend to do it, but it happens all of the time. When I was in veterinary school I had an ER department head say one of the single important things I’ve ever learned. The gist of it was to never judge another veterinarian based on what a client tells you. Unfortunately we all know that clients lie, don’t always understand medical terms, and when things go wrong they tend to take it out on the primary veterinarian. As the second opinion or emergency veterinarian we try to keep an open mind but some clients stories can be quite compelling. Some clients leave out important details that make us judge the primary veterinarian poorly. Some details make us misinform clients of potential poor care. This leads to an already angry client then badmouthing and harassing the primary veterinarian because of what we allowed to transpire. When in doubt call the primary veterinarian. Sometimes clients will not give you that information. If so, take that as a red flag that they may not be completely honest with you, especially if you do not have complete records or any records at all. But if you do have the privilege of receiving that information a simple phone call can explain a lot of what may be going on. It will also help in diagnosing a potential complicated case. I’ve had several second opinion allergy cases where the owners told me that their prior veterinarian told them nothing regarding treatment or testing. Luckily some of those clients brought their records or had them faxed- which showed in detail every appointment where seasonal allergies or food trials were explained and also declined by the owner. I could have just assumed that the prior veterinarian was lazy and didn’t want to deal with a skin workup but then I would be guilty of what we all should be avoiding. Just because you were taught a procedure or testing sequence a certain way doesn’t mean that what the other veterinarian did was wrong. Maybe you haven’t kept up on vaccination protocols or maybe your interest is in ophthalmology and you haven’t gone to any current lectures on urinary health. But that doesn’t mean you should dismiss or tell a client what the other veterinarian did was incorrect. We make advances every day in veterinary medicine- its impossible to keep up with it all. Recently I learned that you could use blood serum to check for ketones if you don’t have urine available. If I didn’t know that fact and saw someone’s chart regarding checking ketones that way I might have gotten a little judgmental. But it would have been my ignorance that could have caused me to misinform a client regarding how to test “properly”. The same goes for a recent case of cystine stones. 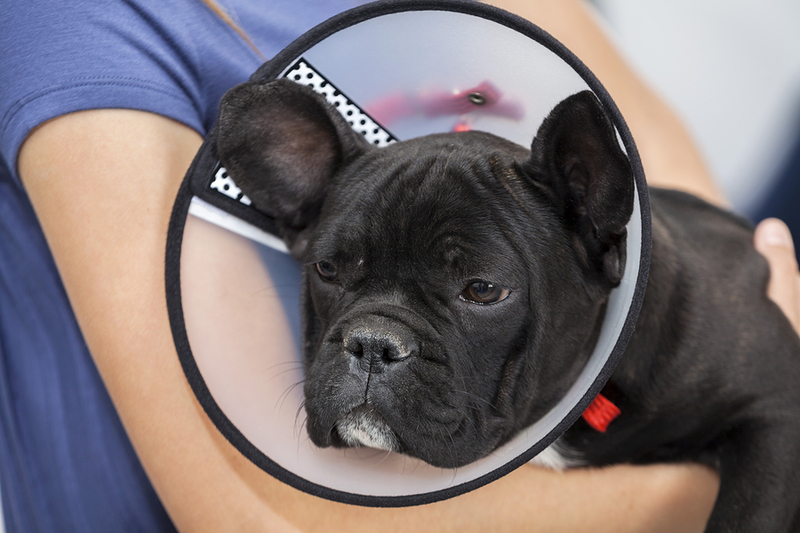 Again I was recently informed that a majority of cases could be resolved from neutering. Unfortunately, a second opinion veterinarian might not know this and could tell a client that they have never heard of it. That small slip of the tongue then creates chaos for the other veterinarian. Did you know there is a 2-year FELV vaccination out? I had to look it up because I thought someone’s records were marked incorrectly. Instead of deceiving the client I took a few extra minutes to make sure I wasn’t giving out inaccurate information. So it all comes down to a rule of thumb – unless you have the whole story do not place judgment or inadvertently misinform a client. Its much better for the client and patient to stay neutral and put effort into investigating and fixing the problem, not creating more. Inform yourself, don’t judge others treatment courses, and remember we all are human. Take a little extra time to fully understand the situation before placing biases that could land another veterinarian in hot water.